The experts from WATCHGUIDE tested our watches very much into detail and were overwhelmed by our amazing price value ratio. Here is the entire review. Definitely a good read and we are proud of the result! 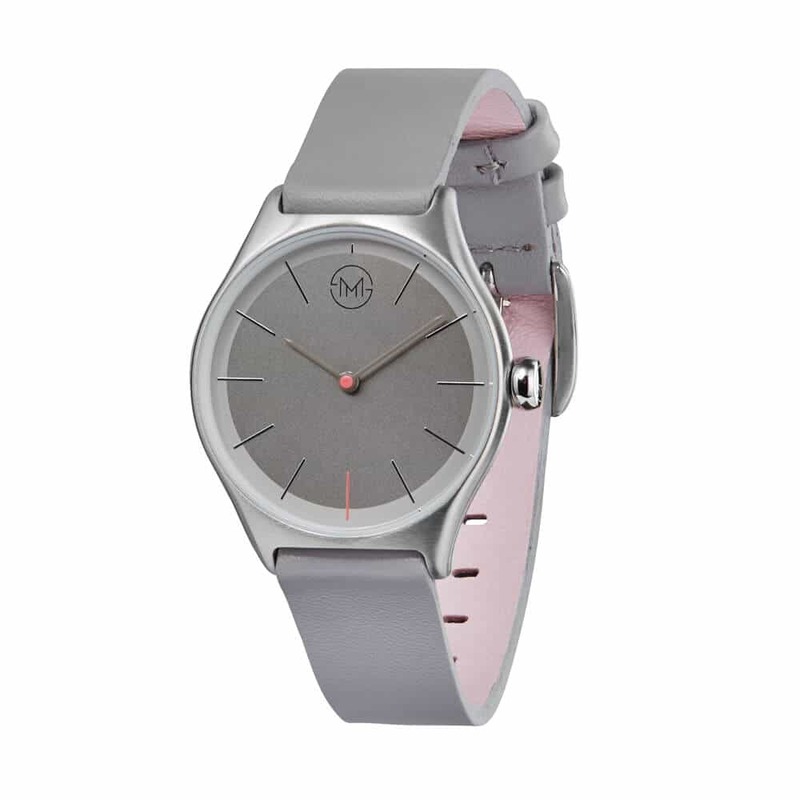 A sporty but still vey female colour combination: All tonal grey and silver with some pink details. 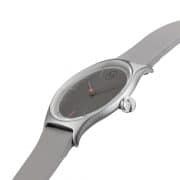 You might ask how can they make such a thin watch with a steel band? Well, we found this special construction that makes the band ultra light and thin. And you can even adjust the length by yourself within seconds. Based on the slim made concept we created a product that is your ideal companion to make your journey through time truly slim. By optimizing every component and production process we managed to get the case of this super thin watch only 7 mm thin, so it will perfectly wrap around your wrist and you won’t get stuck anywhere. Even though the watch is made of durable stainless steel, it only weights 55 grams; so you will hardly feel it when you wear it. That’s exactly how a good product should be! The shapes just flow! The edges are perfectly smoothened and we are even using slightly domed glass. 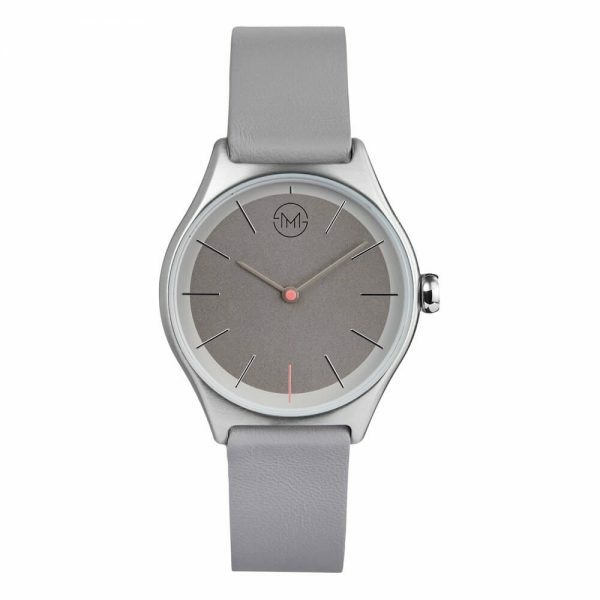 It gives the watch an amazing touch and of course it’s great to look at, too. What a clean but distinctive design! We applied a nicely reduced design that only focuses on the essential and gave it some nicely little twists like the colored second hand, 6 o’clock index or the back of the leather straps. To develop the ideal watch for you guys, we picked the finest and softest leather straps you can find. As if that’s not enough we custom made a fantastically rounded buckle to create a timepiece that you will never want to take it off again.